Ashvin divided the entire human history into three broad ages, the Agrarian age, Industrial age and the Digital age. The agrarian age lasted for 10,000 years when the dependence on agricultural as a source of livelihood was very high. Therefore countries like India and China with large fertile land and large population were most prosperous. Industrial age started in 1700s and with technological advancement catapulted Europe & USA to the forefront of global growth and trade. Digital age, which started in 1950s with the invention of the computer, has been characterised by rapid changes in technology. These rapid changes lead to market disruptions translating into continuous uncertainty. An investor today has to invest in the face of this uncertainty. most retail investors end up buying high and selling low. This leads to money flow from retail investors to Institutional investors who are seasoned and have a longer holding period. To overcome this challenge, Investors should follow diversification which entails spreading out investments across various asset classes and setting exposure weights and then periodically booking profits in investments which have done well and adding others in order to get back to the ideal portfolio weights. Overtime, this will ensure that an investor will buy low and sell high. Investors also suffer from cognitive delusion which means that the market might not be the same as what investors perceive it to be. When a trade happens seller and buyer agree on the price but not on future expectation. There are two major constraints, namely Technical – fundamental valuation and Social – buyer and seller psyche. Prior to investing, investors have to determine the purpose of investment and then build an economic framework described by Ashvin as – Goal based Investing. Economic framework will depend on investors risk appetite, return expectation and time horizon. Investors shouldn’t assume that markets have a stable structure as they can have bubbles and crashes. 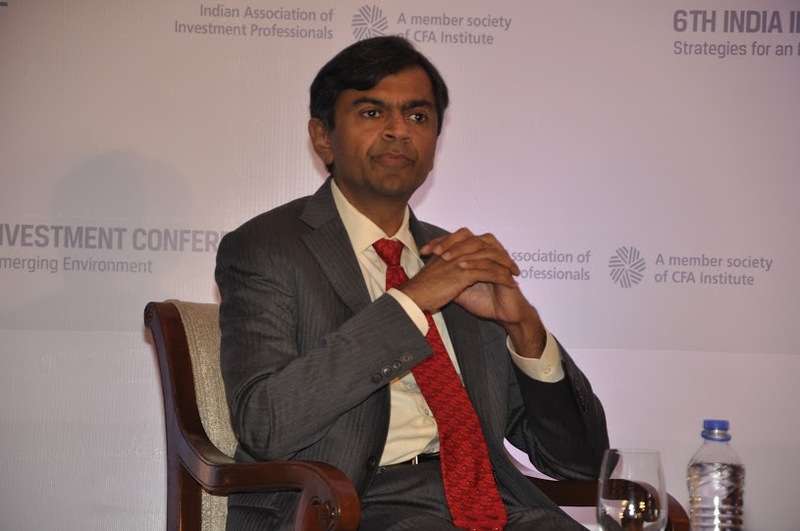 Ashvin applied Maslow’s law of “Hierarchy of needs” to Goal based investing and mentioned that an investor should have three buckets of investments. First one is Safety – this portion of the portfolio should not witness erosion and an Investor should be able to fall back on in crisis times, viz. insurance, cash, gold. Second is Comfort – with this bucket, an investor should take market risk and expect market returns. And third is Aspirational – this is a high risk – high return segment which will generate wealth. Ashvin’s analysis of Berkshire Hathaway confirms the relevance of the three bucket ideology. Concentration and Leverage are keys to make money but it is necessary to apply both with skill. Leverage is a double edged sword. It can maximise returns but if bets go awry then investor would be forced to liquidate. It could entail losing a major portion of the invested capital. This entry was posted in India Investment Conference, Mumbai and tagged @iaipcfa, Agrarian, Ashvin B. Chhabra, Cash, CFA, CFA Institute, Digital Age, Edelweiss Financial Services, Edelweiss Securities, Euclidean, Goal Based Investing, Hierarchy of Needs, IAIP, Indian Association of Investment Professionals, Industrial Age, Insurance, Kunal Sabnis CFA, Maslow, Maslow’s law of “Hierarchy of needs”, Safety, The Aspirational Investor, VEC Investments, Vikas Khemani CFA, Warren Buffet, Wealth. Bookmark the permalink.